I love Resident Evil. Some of the games that have come out of this franchise are in my all time favourites like the remake of the original Resident Evil on the gamecube. I own pretty much anything Resident Evil and Resident Evil 6 is a game I am really looking forward too. 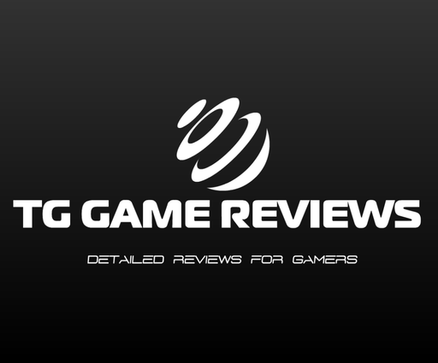 So now you know I am a huge fan of the series lets get to the review. 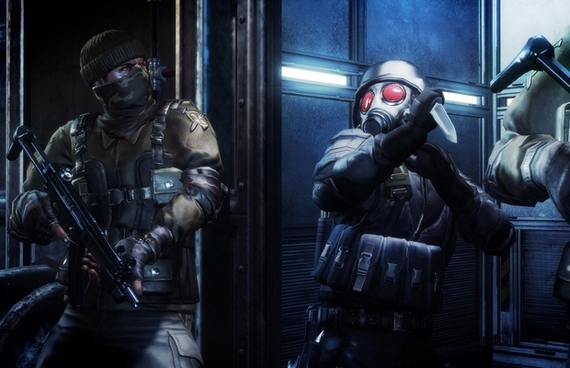 Resident Evil Operation Raccoon City is not your "traditional Resident Evil" game it is more of the shoot everything in your way type of Resident Evil. It does however still stick to Resident Evils story as this takes place during Resident Evil 2and 3. This time though you are playing as members of Umbrella who are trying to destroy all evidence of the incident. That is pretty much the plot details. The gameplay for this game is like your traditional third person shooter with some Resident Evil elements added to it like the first aid sprays making a return and the classic enemies like Zombies, Lickers and Hunters also make a return to this game. The main problem with the gameplay for me is the horrible and I really mean horrible AI for both my team mates and the enemies. There is many problems with the team AI as they can do things like get in the way of the screen making it impossible to see any of the enemies coming at you. The AI even ruins a pretty cool feature introduced to the game as you can become infected and if you don't have a spray to stop the infection you will then start to attack teammates (You have no control over this) who will have to kill you but then they do not even revive you! I recommend playing with others and not with AI as the AI is extremely clumsy and can ruin the whole game for you. There is many other gameplay problems like the extremely overpowered melee combat. AI for me is a huge problem with the game there is just so many problems with it that you want to give up with the single player trust me play with humans.There is also a problem with the balancing of the enemies as enemies like a tyrant can be killed quickly while a Licker can be the enemy to cause your ammo to disappear. I was also having serious problems with getting into cover sometimes and really caused me to lose more health than just shooting and not covering. many of the teams names. Without spoiling anything the end can play out in two different ways which is something I always welcome as it gives a reason to play the game another time round to see a 2nd ending. very fun playing it with friends online. Didn't have much connection problems and played pretty smooth. My favourite mode has to be Hero mode just to play as the old classic characters. Resident Evil Operation Raccoon city is not really that good and I hate to call a Resident Evil game bad but this pretty bad there was some serious potential for this game but terrible AI for team mates and enemies, horrible cover system and a short single player mode really ruined any potential this had. It seems really rushed and would have been a decent game if it had much more work on it. I was really intrigued by the possibilities of seeing what else was going on during the time period of Resident Evil 2 & 3 but the game just ended up leaving a sour taste in my mouth. The only good/fun I got from the game was online which is actually pretty damn fun. Before even thinking about getting this game make sure you have friends who will also buy it as it makes it much better. I just hope Resident Evil 6 doesn't come close to the score I am giving this game. I went to Metacritic to see reviews for Raccoon City and I found yours that just said to come here. I wasn't too impressed at having to go to another site. Worse still, your link is just to the site in general so once here I had to search again to find this review. I appreciate that you want visitors to your site and placing what is in effect an advert on Metacritic might seem like the way to go, but you don't make it easy. It might even be better if you posted a summary of your review on MC rather than just the first paragraph. Just my thoughts: I thought your actual review (when I eventually got to it) was pretty thorough, but I still find myself a bit narked that I had to jump through hoops to read it. Instead of a single click (like other reviews on Metacritic) I had to go click, drag select, right click, copy, paste, enter, scroll, scroll, scroll, scroll, click. Then when you copied and pasted it you would have come straight to the actual page of the review. Metacritic doesn't allow links so the copy and paste route is the only thing I can do but thanks for informing me about the link though I will start linking to the reviews instead of the main site from now on.